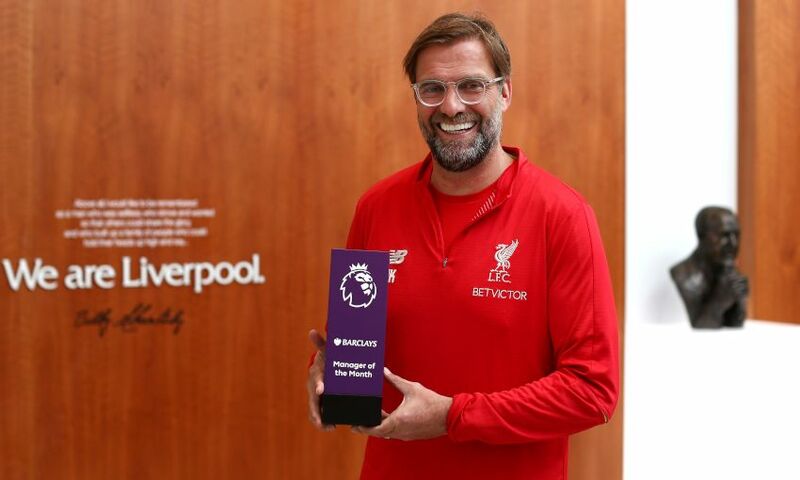 Jürgen Klopp has been named as the Premier League Manager of the Month for March. The Liverpool manager guided his team to three consecutive wins against Burnley, Fulham and Tottenham Hotspur after opening the month with a goalless draw against Everton at Goodison Park. Klopp saw off competition from Pep Guardiola, Ralph Hasenhuttl, Brendan Rodgers and Marco Silva to clinch the award for a second time this season having previously won it for December. He also scooped the prize in September 2016.